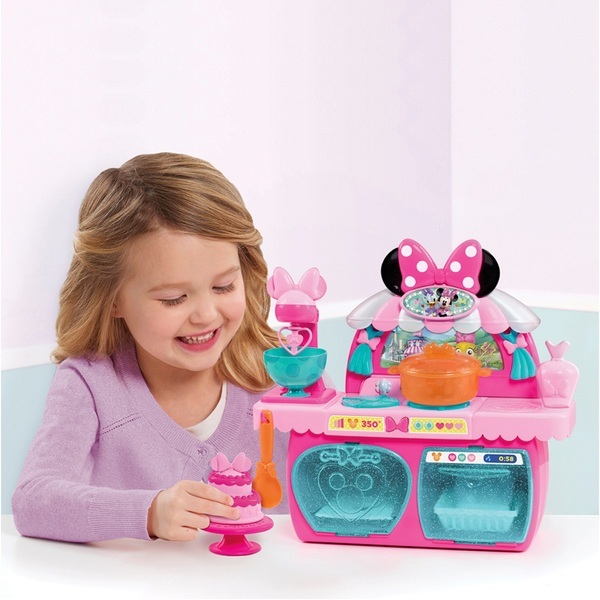 Minnie Mouse's Bowtastic Pastry Playset is the perfect set for any budding chef. The electronic playset features realistic cooking sounds, a working mixer, an oven that lights-up, pretty colour changing icing and Minnie Mouse phrases, so your little one can feel like they are cooking right alongside Minnie Mouse. Minnie Mouse's Bowtastic Pastry Playset is a complete, compact table top kitchen play set that fits even in the smallest of spaces.